Bring digital intelligence to every deal. 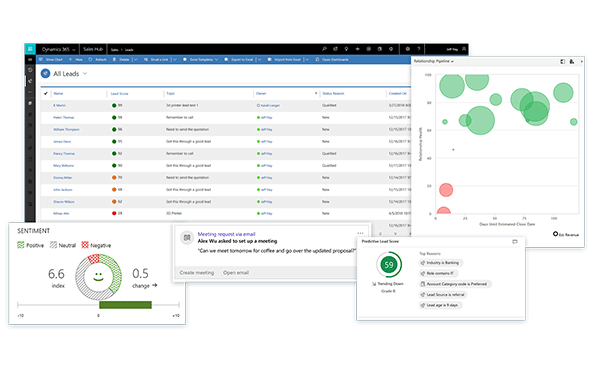 Dynamics 365 for Sales leverages predictive analytics to enable sound, strategic decisions and provide deep insights into customer relationships. Dynamics 365 for Sales enables sales professionals to use machine learning and predictive intelligence to anticipate customer needs, personalise the sales process, and sell more. Automated, event-driven processes uncover relevant indicators and identify prospects with the greatest potential. Collaborate efficiently and close deals faster. Share meeting notes and events and co-author custom sales documents in real-time. Offline mobile capabilities enable salespeople to work anytime, anywhere, on any device. 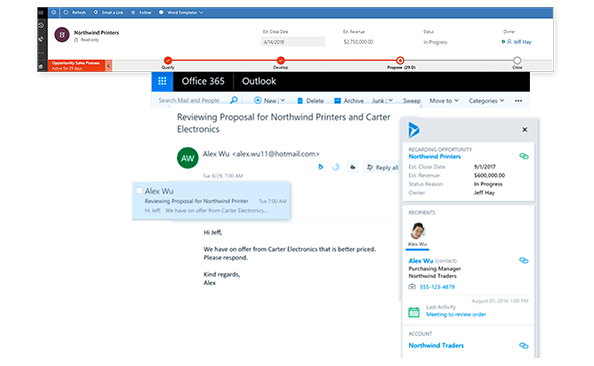 Understand how customers interact with emails using smart tools that enable more proactive and responsive communications. Gauge social sentiment and identify potential competitive threats with social media cognitive services. Harness machine learning for automatic lead scoring, customer relationship health indicators and risk alerts. Surface relevant conversations and recommend content to share through intelligent social media tools. Track social media channels and automatically generate sentiment tagging, identify purchase intent and convert to leads. 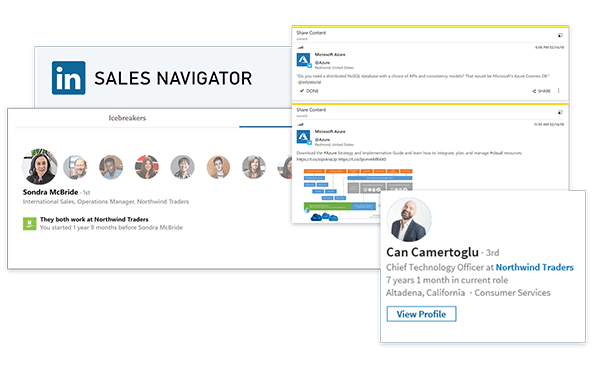 Find and connect easily with decision-makers and influencers with integrated LinkedIn Sales Navigator. Accelerate adoption and save time daily by using familiar tools like Excel and Outlook for routine activities. Adapt the application to changing needs with no-code visual editors and tools that make it easy to build and deploy web and mobile apps. Use contextual and interactive help to align sales processes with best practices, accelerate onboarding of new team members, and shorten time to impact. If you're considering Microsoft Dynamics 365 for Sales, or just want more information, we're happy to answer all your questions.